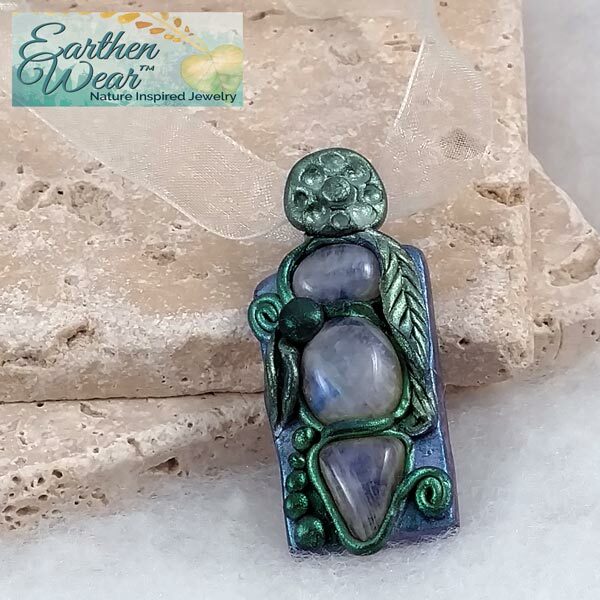 Glowing Blue Rainbow Moonstones, Mica tinted polymer clay, and completely hand sculpted. Created in a garden setting with three Blue Rainbow Moonstones as its focus, with leaves, vines and berries. 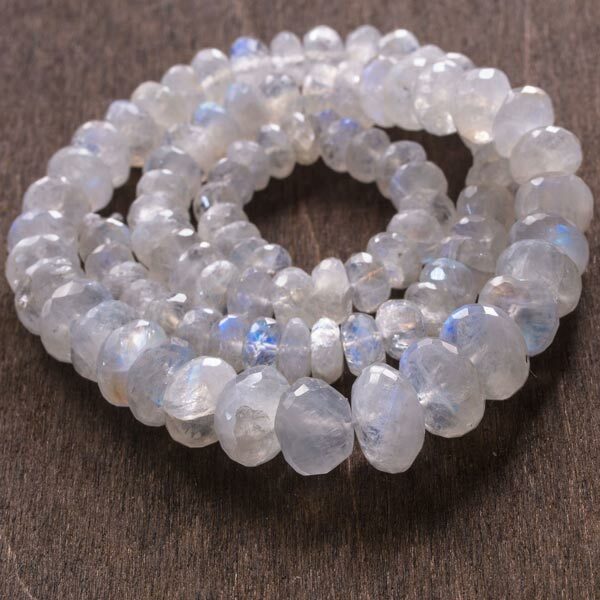 Blue Rainbow Moonstone soothes the emotions and mind, aids spiritual growth and development, and helps to heal the astral body. 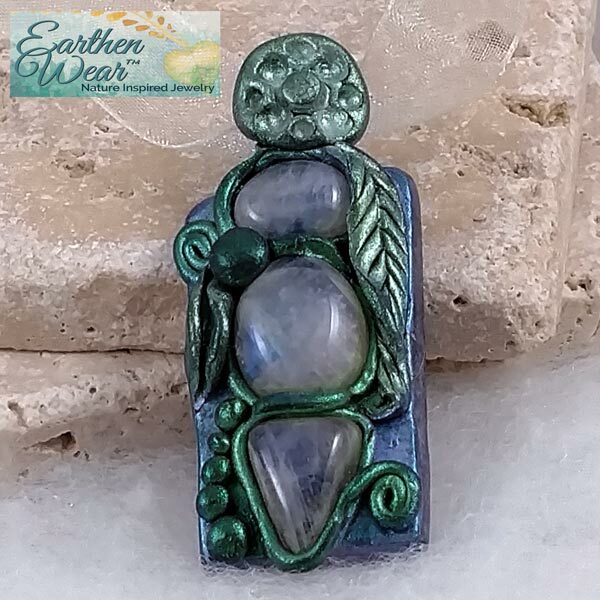 Pendant is 2-1/4 inches tall, 1 inch wide and 1/2 inch thick. Gift Boxed and includes sheer pastel colored, adjustable Ribbon Neck Cord (13mm wide x 16 1/2' inches long, plus 2 inch extender chain).